Repsol Honda Team’s Toni Bou rode to a commanding triumph in the X-Trial held in Marseille, France in the third and penultimate round of the FIM World Championship. 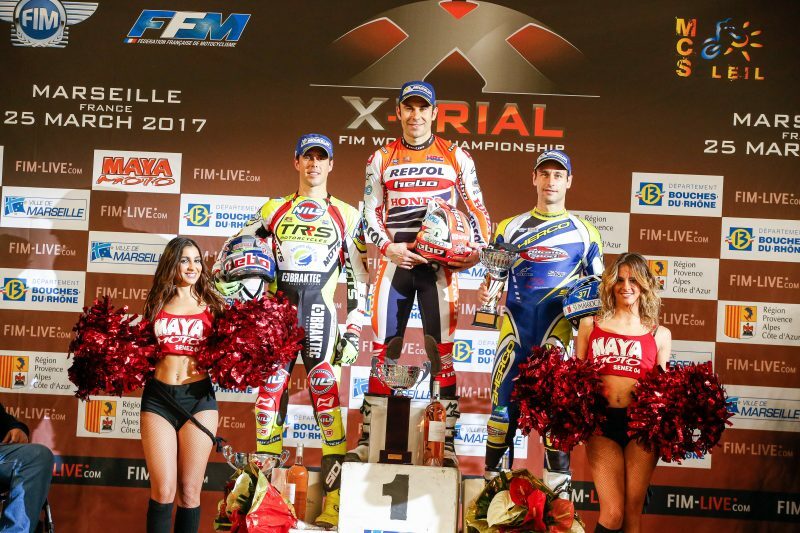 An eleventh title in Nice next weekend now looks fairly certain. 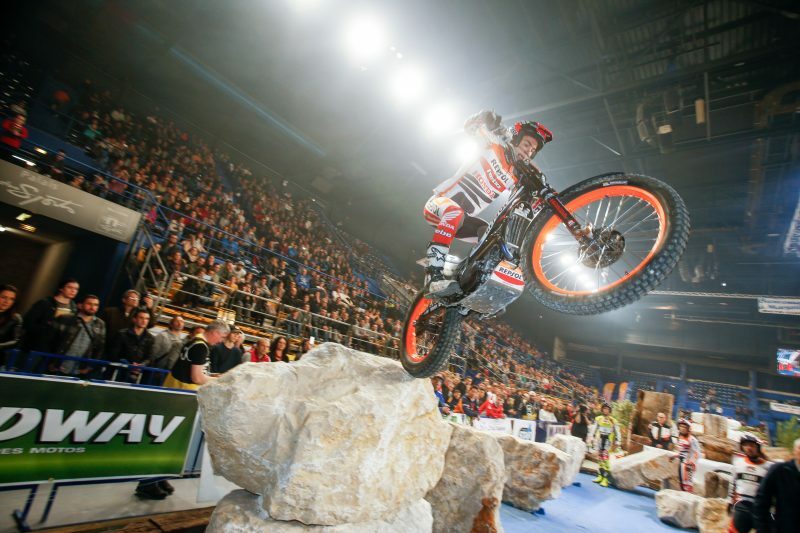 The Palais des Sports of France’s second city played host to the third date in the 2017 FIM X-Trial calendar that saw Toni Bou once again steal the show in one of the most veteran trials on the circuit after Barcelona. 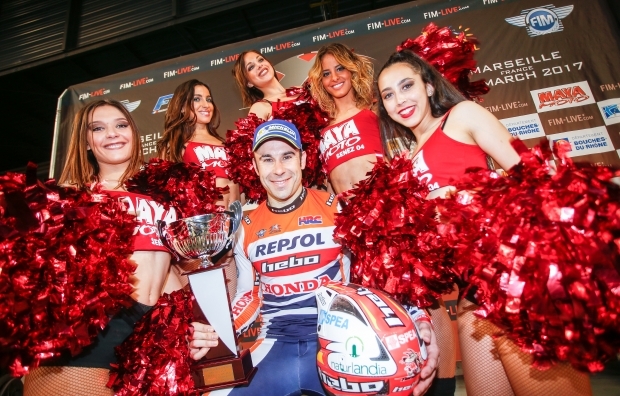 Toni Bou worked hard to secure a vital win that leaves him on the cusp of the season’s main aim: the world title. 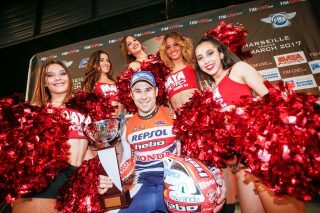 In spite of finishing third in the qualifying round, the current champion was able to attack the sections from the rear after having won the races that determined the starting positions. A clean sheet on the second hazard was enough to give the Catalan the advantage whilst his adversaries all picked up five marks. 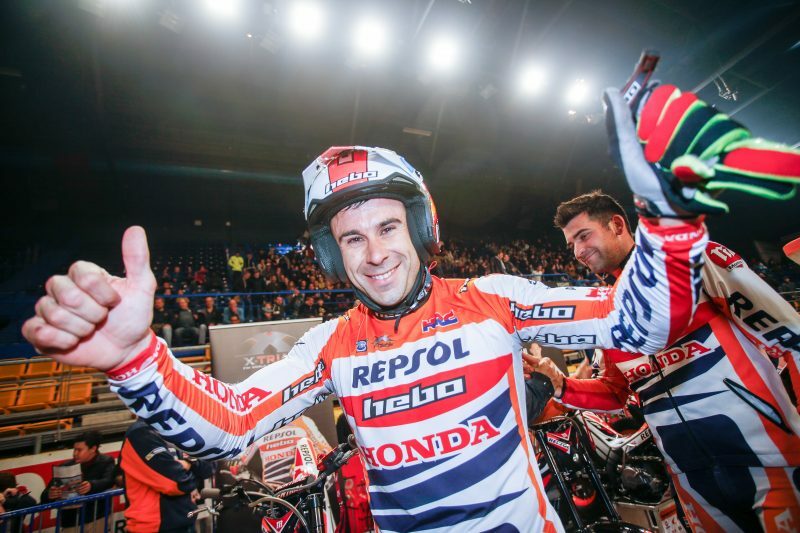 The differences remained until the end of the final, where not even a mistake in the final section was enough to stop Bou from taking the victory – in the end by a mere one-point margin. 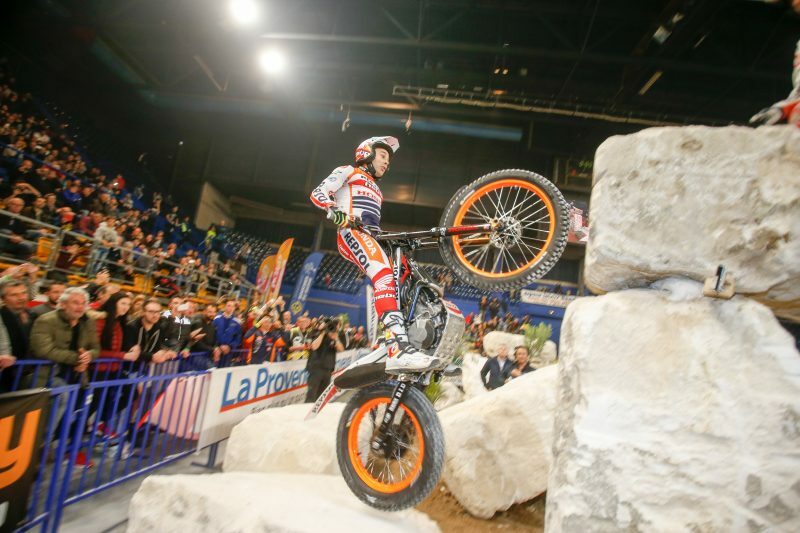 This is the seventh consecutive triumph for the Repsol Honda Team star in Marseille and the third on the spin this year for Bou, who now comfortably leads the general standings of the event. 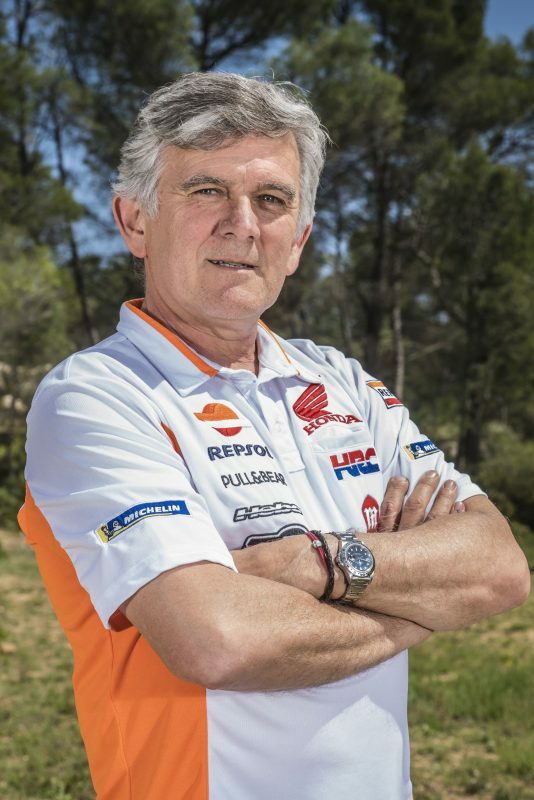 Toni lies fifteen points clear of second place Raga. 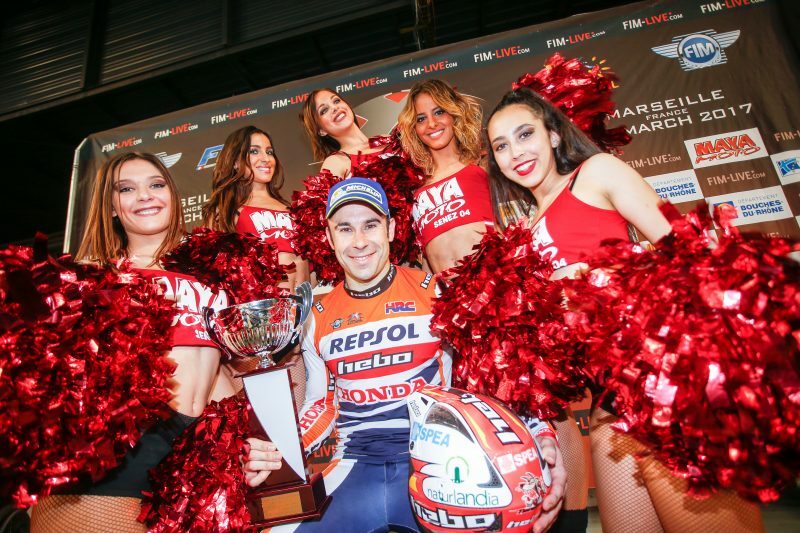 Today Jaime Busto – as he had done earlier in Barcelona – was the second best finisher of the Repsol Honda Team. 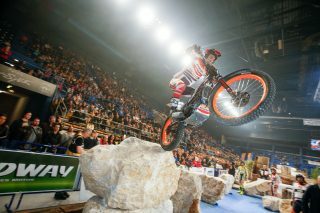 Yet the race differed from the Spanish trial with the young Basque rider qualifying this time for a place in the final. For a spell it even looked as if the promising talent would land a much coveted podium place, but an error in the final section dropped Busto to a fourth overall place – still a career best in the competition however. In behind Busto, in the final X-Trial table in Marseille, was Takahisa Fujinami, Repsol Honda Team’s Japanese veteran who narrowly missed out on the final round. 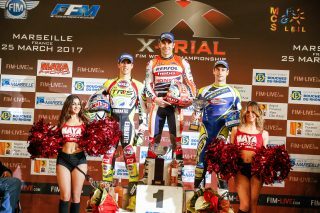 After drawing with Jeroni Fajardo in fifth place, the Montesa Cota 4RT rider took the better position thanks to the decider. The fourth and final trial of the FIM X-Trial World Championship takes place in Nice next Friday, 31st March. 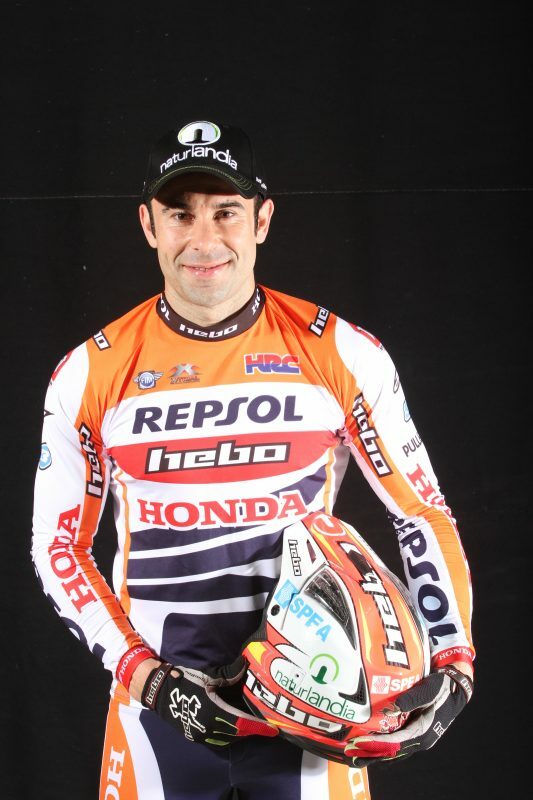 Toni Bou needs five points to seal the title and a fifth overall place should be enough to secure an eleventh title in the discipline. We suffered a lot today. 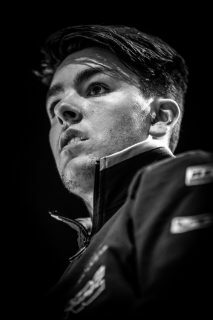 In the qualifying we finished third and I had to win the races to be able to start out last in the final. 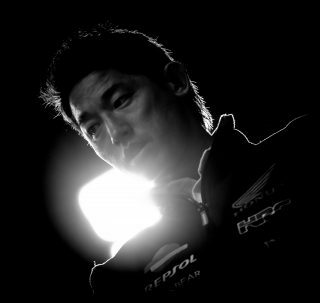 I came out very focused and in the second section I was able to gain an advantage over the rivals that turned out to be decisive. 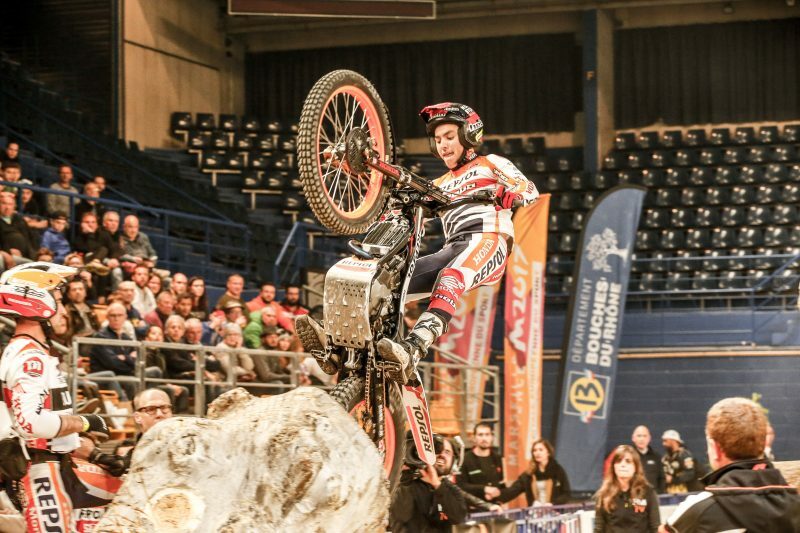 There was no room for mistakes and luckily I was able to win before the trial ended and the five-point penalty in the final section didn’t amount to anything. We can’t make any mistakes in trials with so few sections. Now there is just Nice left where we will have to stay focused to pick up the eleventh title. I had expected a bit more from the trial. 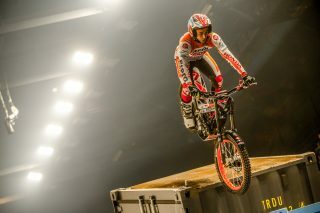 I didn’t ride either well or badly; I finished fifth and I did not make it to the final. 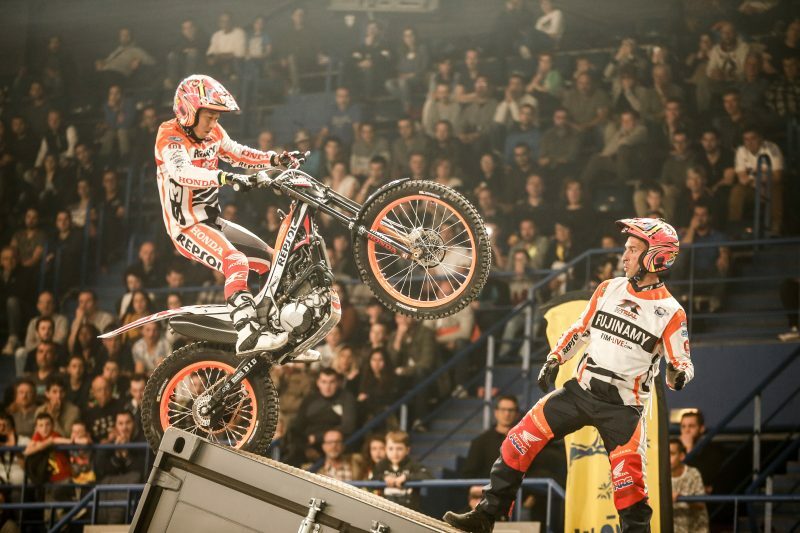 The sections were very difficult and you could not make any faults. Jaime did well and he put the pressure on me. I wanted to outdo his score and I wanted to make it to the final, but while trying to keep a clean sheet I managed to pick up five points. 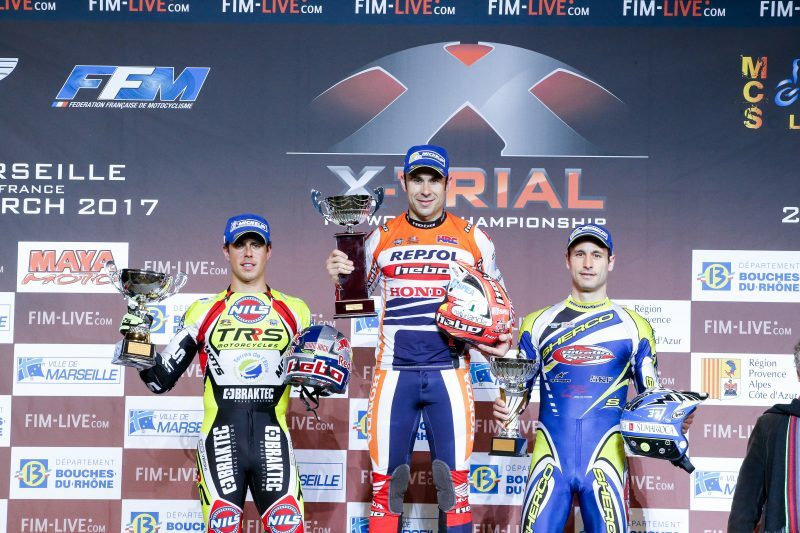 The tie with Jeroni meant that we had to have the decider for the fifth place in the speed zone which I won. I want to congratulate Toni and Jaime for a great race. The truth is that I’m very happy. 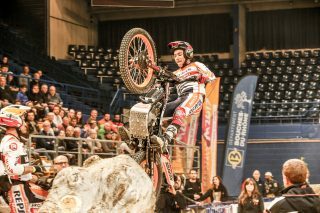 Today it went much better than in the other indoors events that I’ve been in. It was a shame about the final where I made a slight error, making a mistake with the speed. But the final balance, on the whole, is good. I would like to participate more in indoor trials to have a few more options open and I hope to have a good season so that I can qualify directly for next season. Besides congratulating Toni, who had a great trial, I would also like to congratulate Jaime for a great battle. 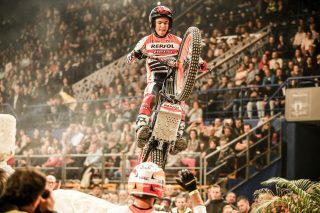 He needs a bit more practice at the indoors trials as he’s not one of the permanent riders this year, but I think that he will be very happy about the result which is a really good one. 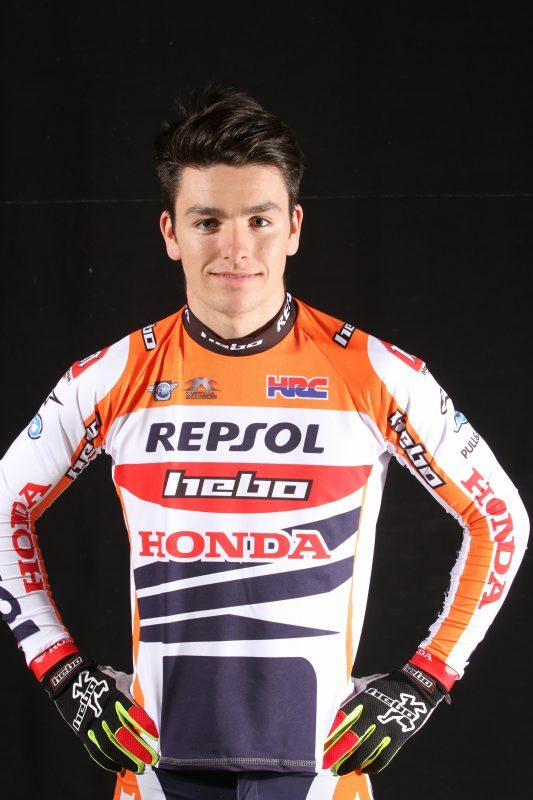 I hope that he will form a part of the fixed group of riders for next year. 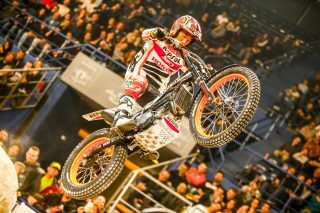 Fujinami was also battling to get into the final but only four can make it through and he came close to doing so.